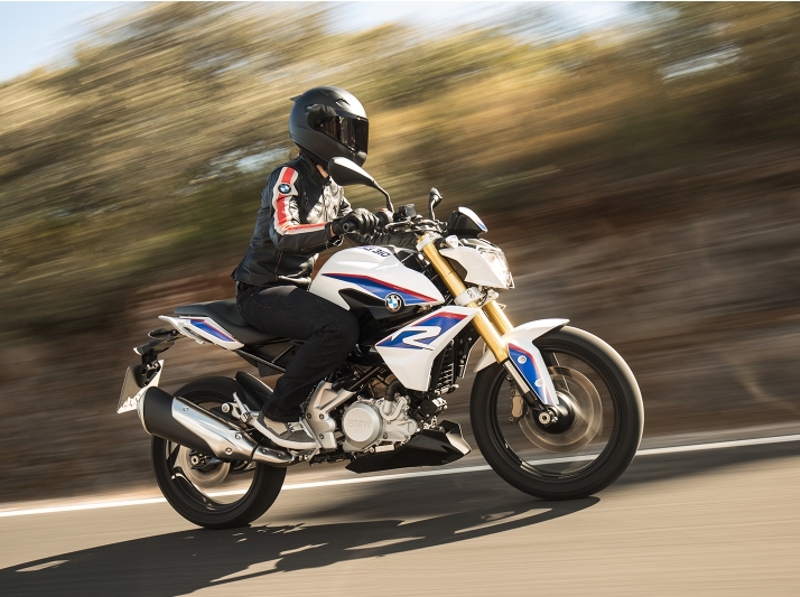 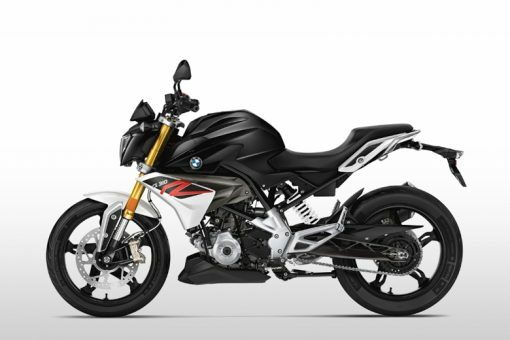 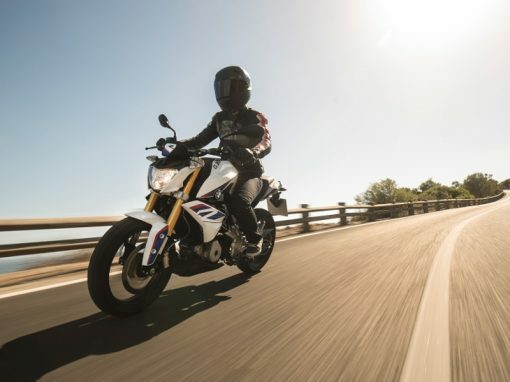 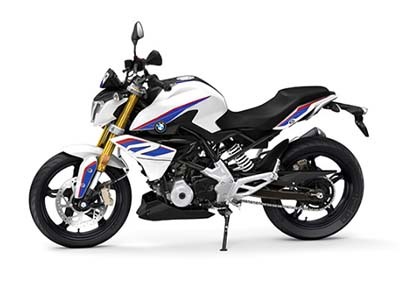 This BMW G 310 R is Pearl White Metallic Motorsport. with prominent accent graphics in the BMW motorsport colors – white, blue & red – to create a sporty look exclusive to the Style HP package. 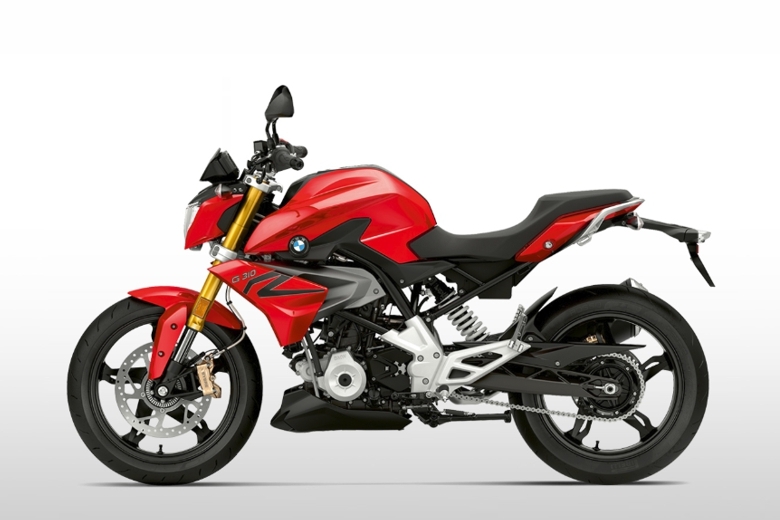 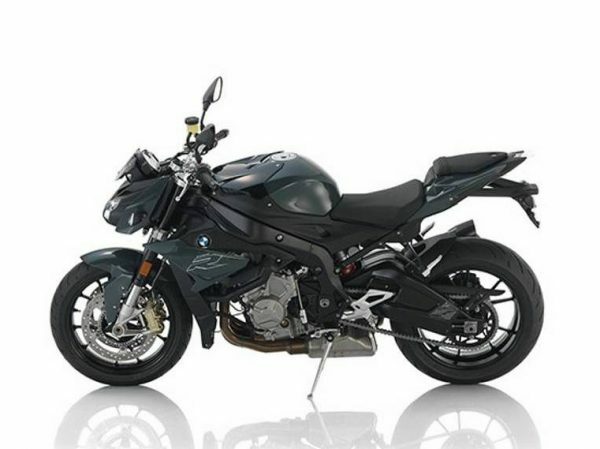 The bike is also available in two other exciting color options: Cosmic Black, and Racing Red. 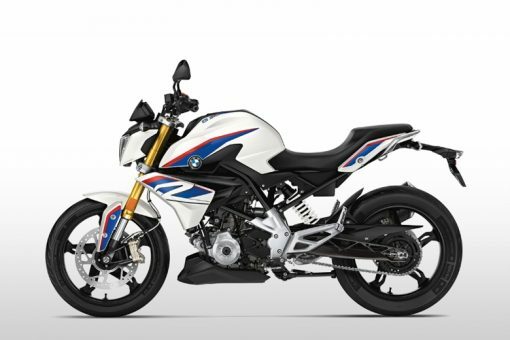 This G310R is in Pearl White Metallic Motorsport which is the optional Style HP Package.